Alpha Hack is working in single and multiplayer game. 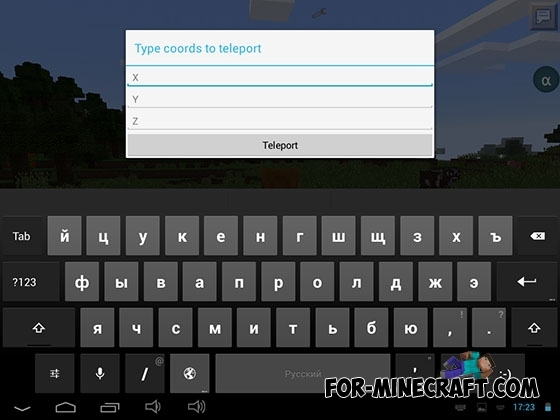 Cheat can also use a variety of functions in ModPE on your Minecraft PE 0.14.0 servers! It even has special menu for those who like to "hacking". Alpha-hack has its own settings so that you can change the background color and a lot of fun features. Available tools for both multiplayer and single player. You just have to download it to see all the amazing possibilities! Morph Mod for Minecraft PE 0.14.0/0.15.7After installing of the Morph Mod you will be able turn into any mob and monsters in Minecraft Pocket Edition! I need this pls ?